love must be sincere. hate what is evil; cling to what is good. be devoted to one another in brotherly love. honor one another above yourselves. never be lacking in zeal, but keep your spiritual fervor, serving the LORD. be joyful in hope, patient in affliction, faithful in prayer. share with GOD'S people who are in need. practice hospitality. Romans 12 verses 9-13 (NIV). 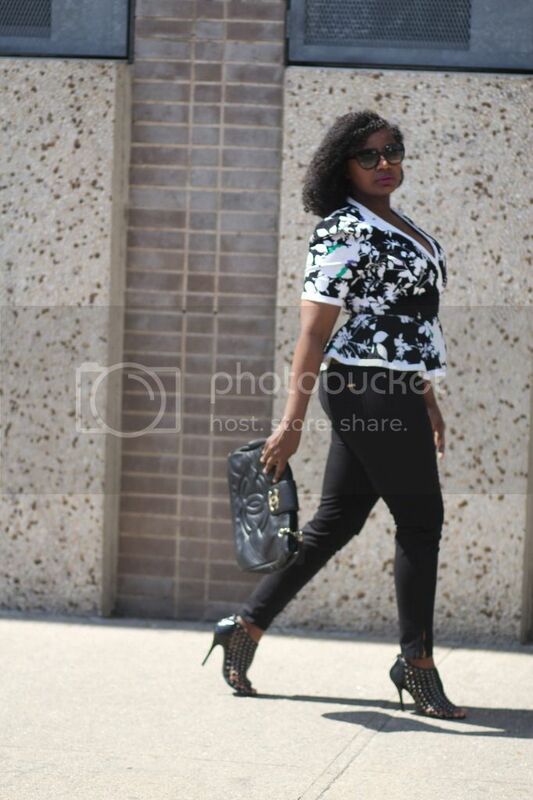 Thrift peplum top. ZARA ankle zip pants. Booties from brooklyn shoe store. Vintage CHANEL. I love that shirt, such a beautiful pattern. Ahh!! 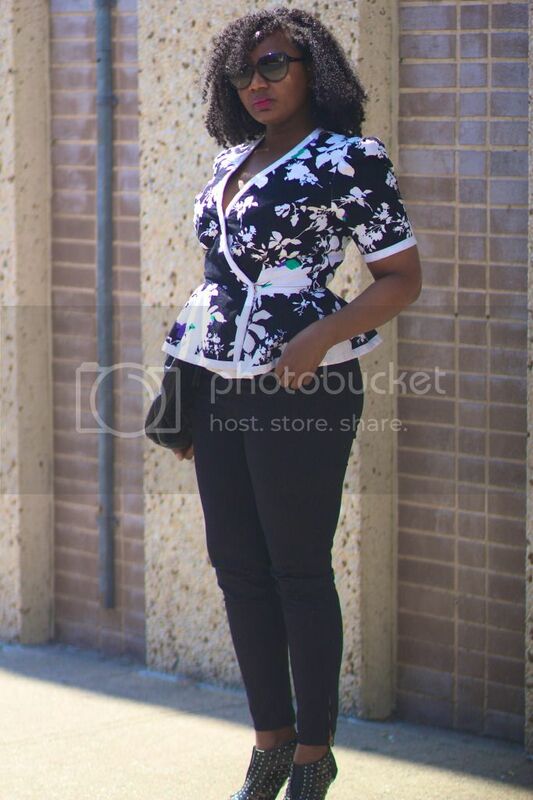 I want a peplum top/ dress soooo bad!! Your top is so cute, you look stunning dear. Cute top. Those shoes are bad too!